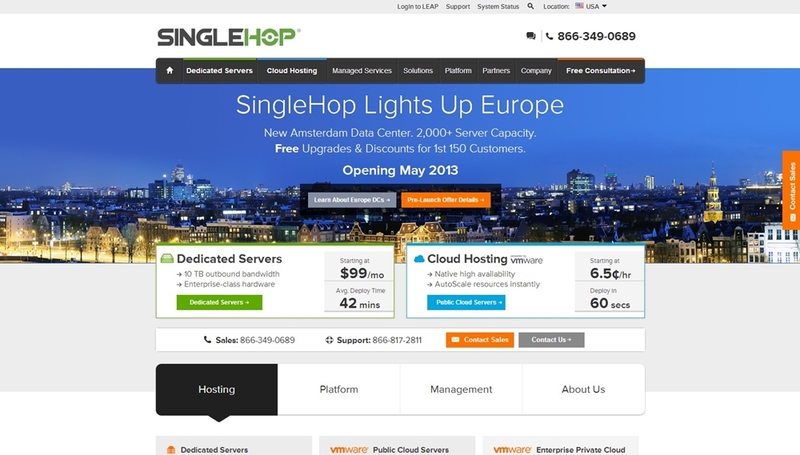 Cloud computing and Infrastructure-as-a-Service (IaaS) company SingleHop plans to open a new data center in Amsterdam, Netherlands. The move comes as a response to increased global demand for dedicated and cloud infrastructure amongst resellers, web hosts and Small and Medium-sized Businesses (SMBs), and gives SingleHop customers a choice of data center location alongside Chicago, Illinois and Phoenix, Arizona. According to research company Gartner, the global cloud services market will generate $677 billion from 2013 to 2016, with a quarter that being spent in Western Europe. With 2,000 servers, SingleHop's new facility will increase the company's server capacity by around a fifth, and the Amsterdam location gives the company greater access to high-growth European and related markets. SingleHop will take a cookie-cutter approach to its new center, mirroring the technology platform and security features present at its data centers in the United States. Security features include biometric access controls and individually locking cabinets. Powered by SingleHop’s LEAP3 platform, which gives customers full infrastructure control through mobile devices, the new center will offer the company’s full suite of dedicated servers, cloud, and managed services with guaranteed response times and network stability. SingleHop is offering an "early-bird" promotion for customers with fixed infrastructure requirements who wish to book server capacity at their new Amsterdam center before its official launch. These customers will receive twice the RAM and bandwidth allocations as standard accounts, and a 10% discount on base costs over their first six months of service. Do you know any other companies that are expanding their footprint? Let us know the details. Leave your comments below.